This Louisiana staple is a great idea for any meal. Make lots of it to enjoy left overs for days! Place rice, beans and spices into baking pan; mix well. Place baking pan into preheated George Foreman roaster, close lid and set timer and cook 15 min. Remove baking pan from roaster; set aside. Brown sausage in roaster, about 10 min, turning halfway through cooking. 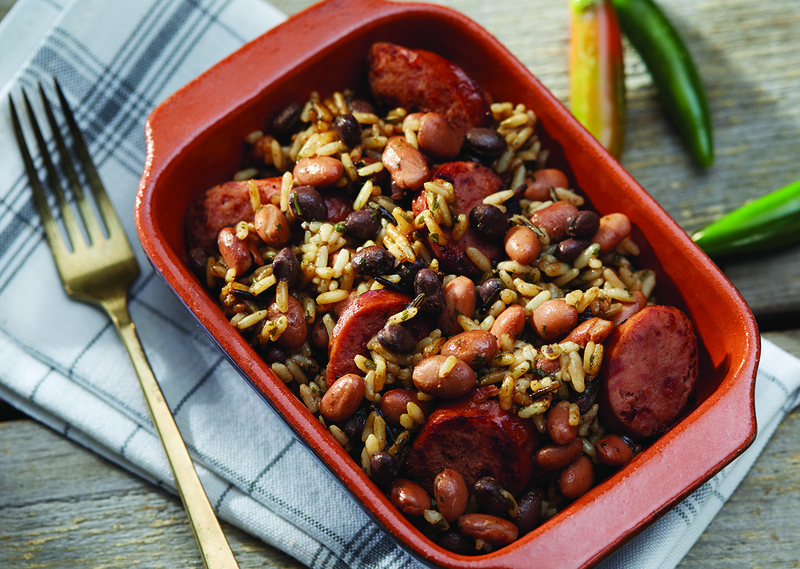 Remove sausage from roaster; stir into rice and beans. Return baking pan to roaster and heat 5 minutes more. Dish out into 4 (1 ½ cup) servings.